« Do Round Baits Catch More Big Carp? I often read on forums people berating the videos made by Fox, Korda etc that “they are just marketing tools”, “what a load of rubbish” and “would rather stop fishing then buy their stuff”. Comments like this go on and on. Well I think that they are invaluable and try to get my hands on as many as I can and I also watch quite a lot of videos on You Tube. You may well ask why? Well there are a few reasons, first of all they are packed with information if you can get past the marketing promotion (of course they are going to push their products, you would be a fool to think that they would not). Then you can actually listen and watch what is being presented and you soon realise the wealth of knowledge that is contained in these films. Secondly I don’t go fishing as often as some other people do but these DVDs give me a little fishing fix every now and then. They make me think about what could I do better and what little changes could I make to up my chances of landing that next fish. Lastly the blogs and vlogs from the likes of The Carp Catcher motivate me to get prepared for my next trip be it to tie those rigs up or sort out the tackle box etc. So next time you put that free DVD in the player give that film the attention it deserves and see what snippets of valuable information you can pick up! 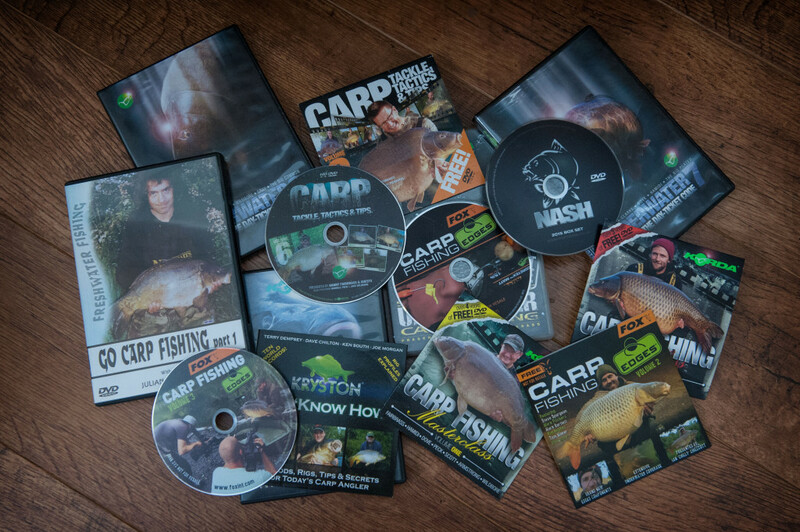 This entry was posted in carp, Review, tips, tips and tactics and tagged Fox Int, Korda, Nash.